Traveling before the age of automobiles involved navigating Native American trails, farm routes and rutted paths carved through the wilderness by early settlers. 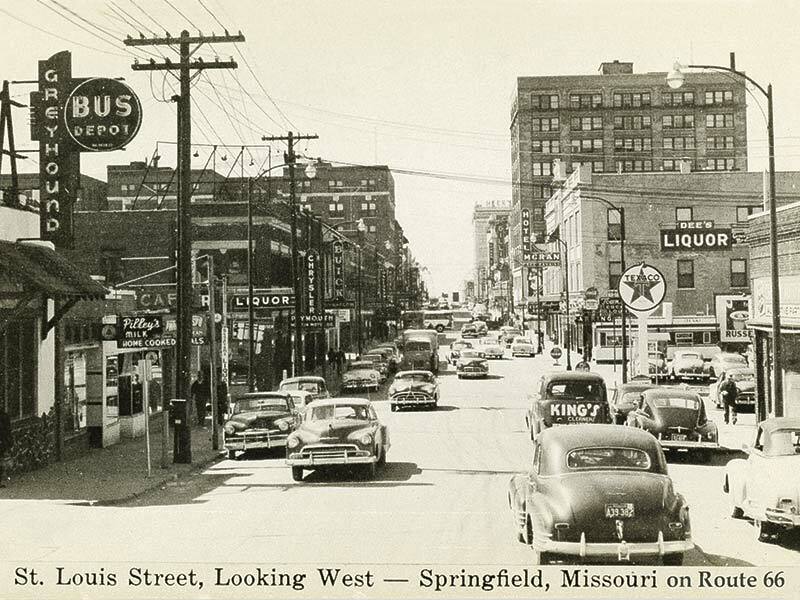 One of the earliest roads between St. Louis and Springfield, the “Springfield Road,” was authorized by the State of Missouri in 1837. 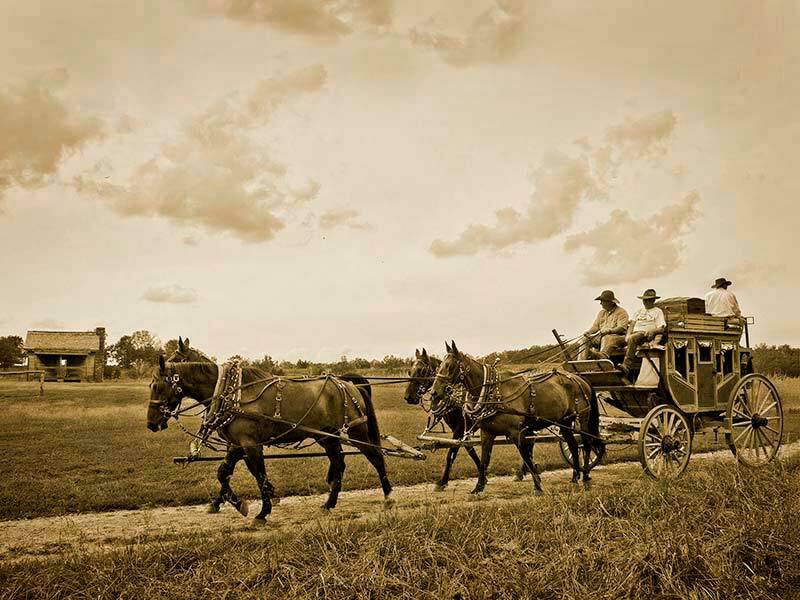 A stagecoach line was set up along the route in the 1840s. 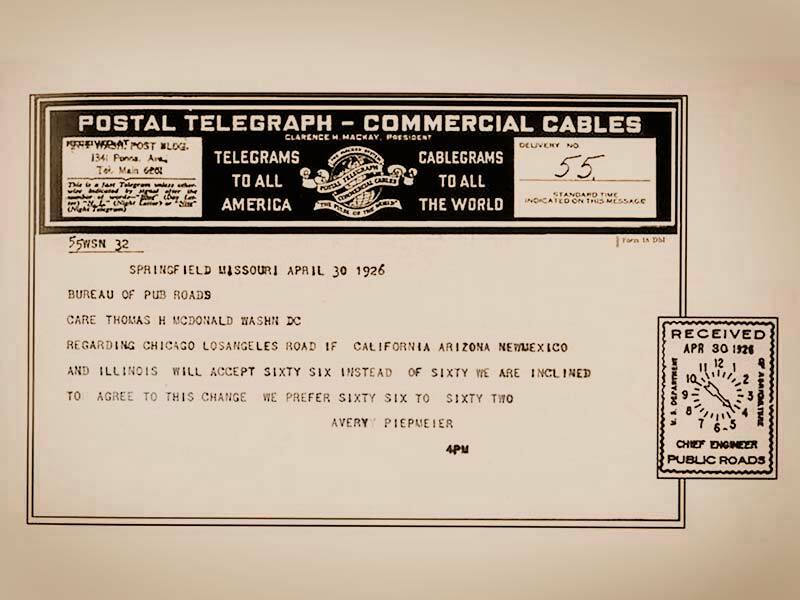 In 1857 Congress awarded John Butterfield a contract to establish an overland mail route between the eastern United States and West Coast beginning near the St. Louis, Missouri and Memphis, Tennessee and ending in San Francisco. In 1858 the U.S. government strung telegraph lines along the Springfield Road from St. Louis to Fort Smith, Ark. “The Telegraph Road” or “Wire Road” was a vital route for communications and movement of troops and supplies during the Civil War. After the war, railroads became the preferred travel method and many roads fell into disrepair. 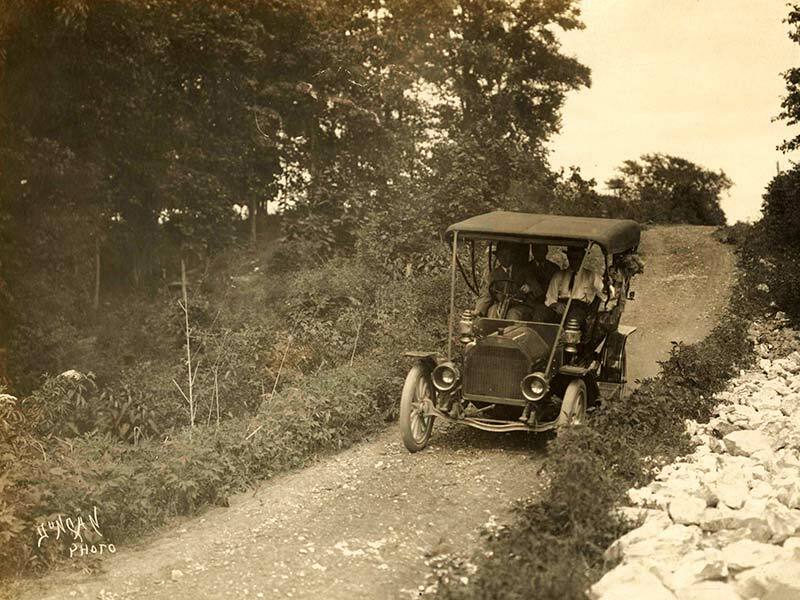 By 1891 the first automobiles appeared on Missouri roads and by 1911 there were more than 16,000 cars in the state. Poor road conditions and the lack of a navigable highway system created frustration, and in 1920 Missouri voters approved a $60 million bond issue for improvements. In 1925 the American Association of State Highway Officials approved a new system for marking interstate highways with east-west highways assigned even numbers and north-south routes odd numbers. Key east-west routes ended in “0,” and main north-south routes ended in 1 or 5. The only exception was the proposed Route “60.” This important-sounding east-west number was assigned to the highway between Chicago and Los Angeles. Gov. William J. Fields of Kentucky was upset that no routes ending in “0” passed through his state and persuaded federal officials to assign the number 60 to the highway between Newport News, Va., and Springfield, Mo. The highway between Chicago and Los Angeles was to be designated “US 62.” Missouri State Highway Commission Chief Engineer A.H. Piepmeier and Cyrus Avery, Chairman of the Oklahoma Department of Highways, said they would accept only the number “60” for the route. 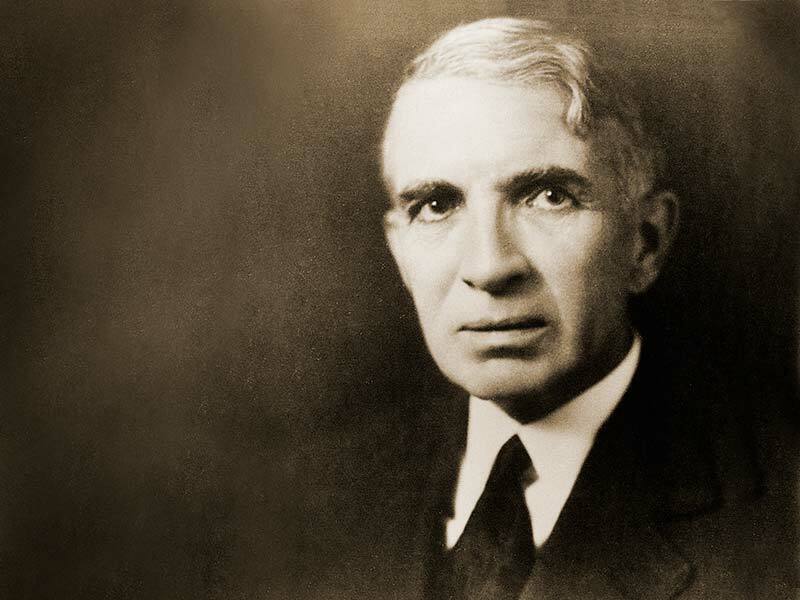 During a meeting with Piepmeier, Avery noticed the catchy sounding number “66” was unclaimed and on April 30, 1926, a telegram was sent from the Colonial Hotel in Springfield to federal officials, saying they would accept “66.” The Secretary of Agriculture approved the route Nov. 11, 1926, the official birth date of U.S. Highway 66.  The US Highway 66 Association was founded in 1927 to promote the highway. John T. Woodruff, a Springfield attorney, was named the first president. With active promotion by the association advertising the highway as “the shortest, best and most scenic route from Chicago through St. Louis to Los Angeles,” the road became popular with interstate travelers. Route 66 was completely paved in Missouri in 1931, and the entire route by 1938. As the highway improved, it began attracting businesses to formerly isolated communities. The need for fuel, lodging, and food along the highway gave birth to many small businesses. Even during the Great Depression, people traveling the route in search of work or fleeing the dust bowl-ravaged Midwest actually increased traffic along the highway and created opportunities for many businesses. 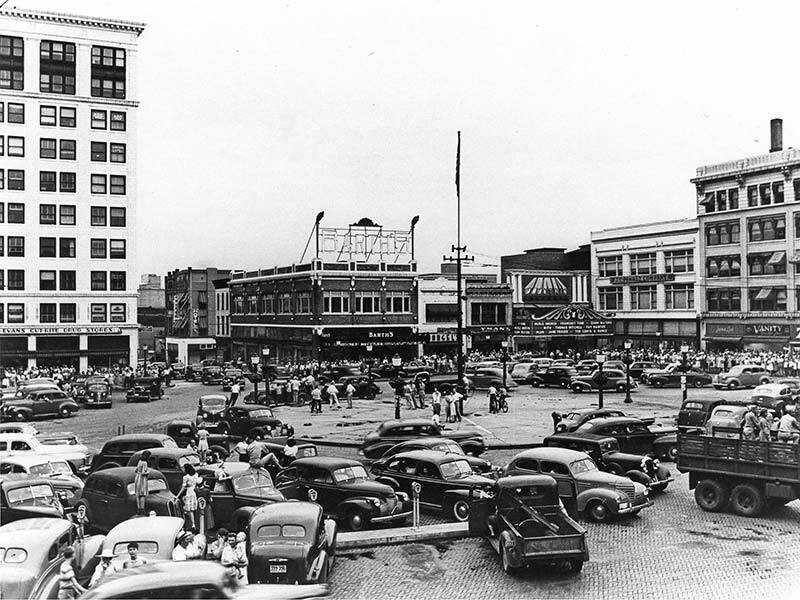 The Second World War caused a decline in civilian traffic, but stimulated new business along Route 66 as troops and supplies were moved between military bases. Near Fort Leonard Wood in Missouri part of the route was quickly upgraded to a divided highway to handle the military traffic. Restaurants, service stations and motels saw business increase as families of military personnel traveled the route and sought extended lodging near military bases. People seeking employment headed to California, Oregon, and Washington to work in defense plants. When the war ended, traffic on Route 66 increased. Families with more income and leisure time began the tradition of the great American road trip, heading west on Route 66 to destinations such as the Grand Canyon, Disneyland, and California beaches. Businesses along the route experienced the biggest boom in the history of the highway. Bobby Troupe’s song, “Route 66,” became popular, and the hit 1960’s television series Route 66, about two young men looking for adventure along Route 66, added new mystique to the route. Small businesses looking for ways to set themselves apart from the competition concocted a variety of kitschy roadside attractions to draw travelers off the highway. Restaurants began to evolve to meet the needs of travelers looking for a quick bite. 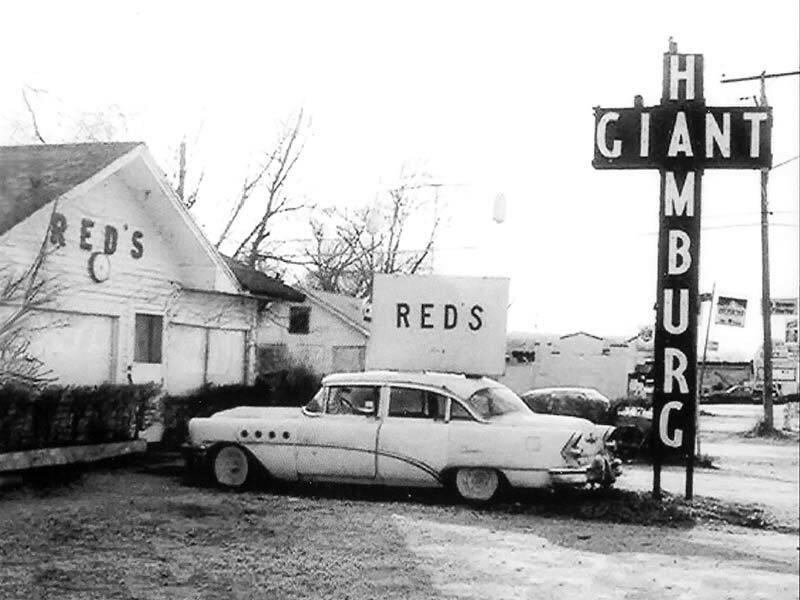 Red’s Giant Hamburg in Springfield featured the first known fast-food drive-through window. The cross-shaped sign with the words “Giant Hamburg” originally spelled out the word “Hamburger,” but Red Chaney had to saw off the “er” when he realized the sign was too tall to clear nearby power lines. The boom in traffic along Route 66 in the 50s eventually led to its demise. President Eisenhower had witnessed the military advantages of the German Autobahn during World War II and signed the Federal Highway Aid Act in 1956, creating the Interstate Highway system. Over the next three decades interstates replaced U.S. 66. 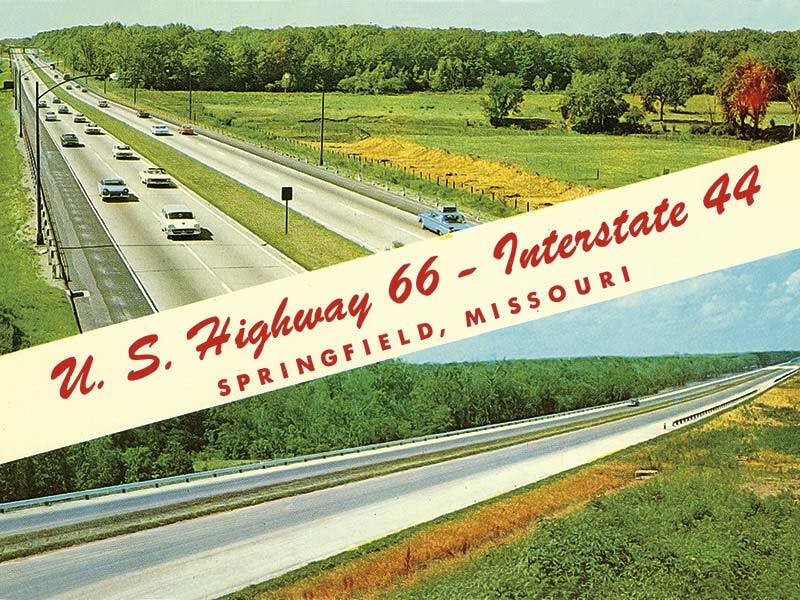 By 1972, I-44 replaced 66 across Missouri. The last section of U.S. 66 was bypassed by I-40 in 1984 and the highway was officially decommissioned in 1985. Businesses along the road were affected and many closed for good. Some smaller towns even faded away along with the route. Despite the decommissioning, Route 66 lived on as people nostalgic for the old highway started campaigns to preserve the historic road. The Missouri Route 66 Association formed in 1990 with a goal “To preserve, promote and develop old Route 66 in Missouri.” Congress passed the Route 66 Study Act of 1990, recognizing that Route 66 was “a symbol of the American people’s heritage of travel and their legacy of seeking a better life.” This study led to a law to preserve the cultural resources of the corridor. Missouri Governor John Ashcroft signed a bill in 1990 clearing the way for MoDOT to erect signs marking the historic right of way. The first sign went up at Kearney and Glenstone in Springfield in 1991. Now more than 350 signs mark the route across the state. Today the spirit of Route 66 lives on along the old “Mother Road,” in the old restaurants, hotels, museums, and attractions in Springfield that still cater to travelers wanting to experience a journey back in time on old Route 66. 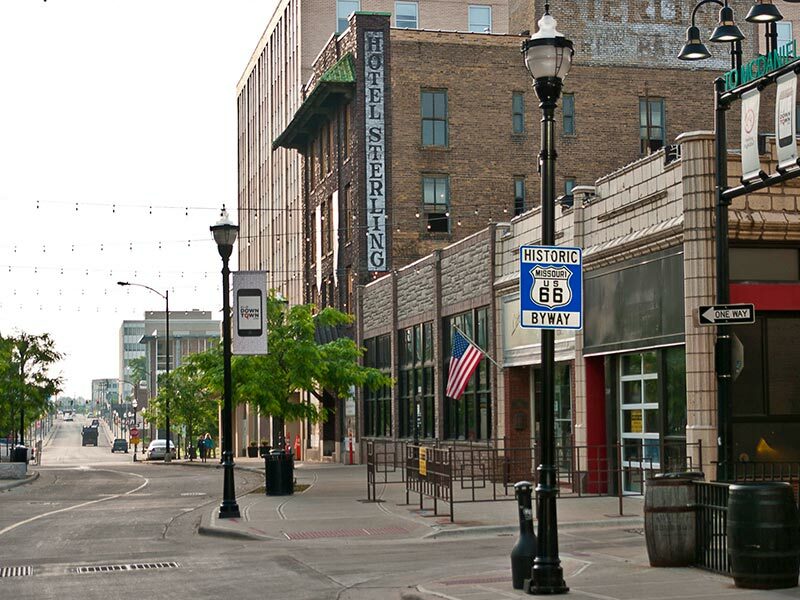 Looking for something to do along old Route 66 in Springfield? Check out our list of Route 66-themed attractions, dining and more.